Or you can buy from Amazon, Please noted that Amazon will have a different cost than what we offer in the website. Please note the shipping is to your door only, might noe include unloading from truck, not include moving to your house/apartment. For international customers, we ship globally, Just place order through our website. The cost include shipping via ocean to your door way, ususally take 4 to 6 weeks. The cost will not include any import duty and tax, not include unloading from truck, not include moving to your house/apartment. 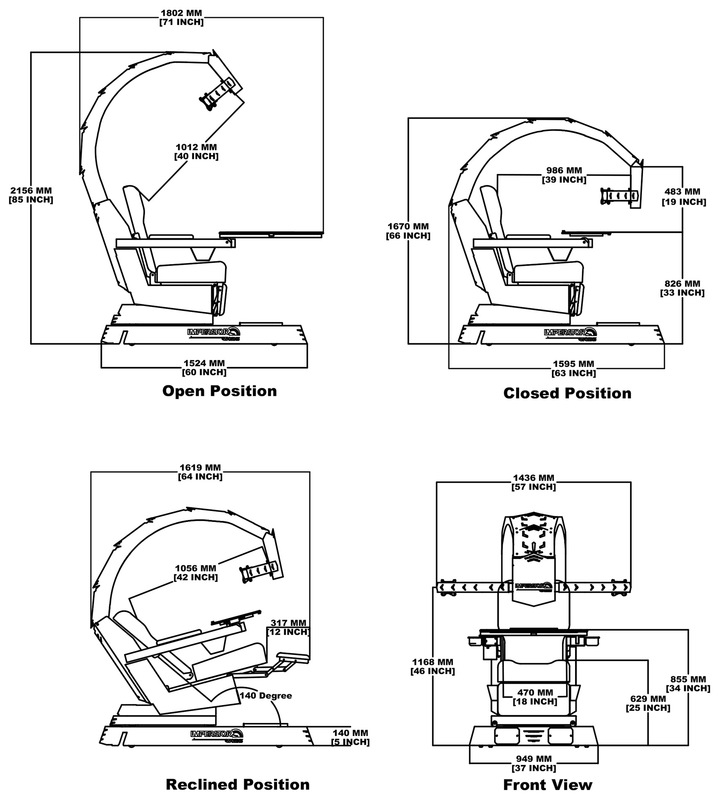 What is the Monitor Mount Configurations? 32:9 single ultra-wide curved monitor up to 49"
21:9 single ultra-wide monitor up to 38"
16:9 single monitor up to 32"
16:9 Triple monitors up to 3x28"
Monitor Height: Up to 17" / 43cm with VESA holes in the middle. What is the specification of IW-R1? What is the specification of IW-J20? What is the specification of IW-C4? What is regular color for your workstation? The regular color is white/black, chair is black color with options for cowhide leather,super fiber leather,PU etc. We offer other colors as red/blue/yellow by for extra cost and longer delivery time. 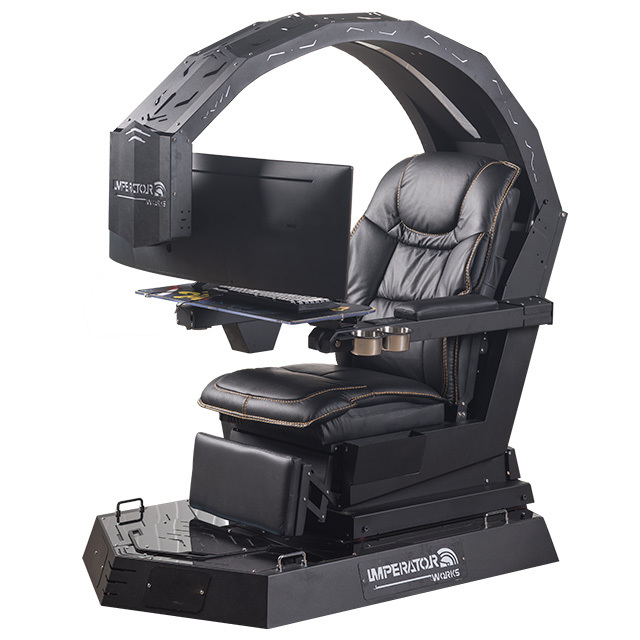 Does the workstation comes with monitors? No,we don’t sell monitors. Since customers has their own monitors and it’s quite easier and cheaper to get VESA compitable monitors On Amazon. What kind of monitors is OK to connect with the workstations? 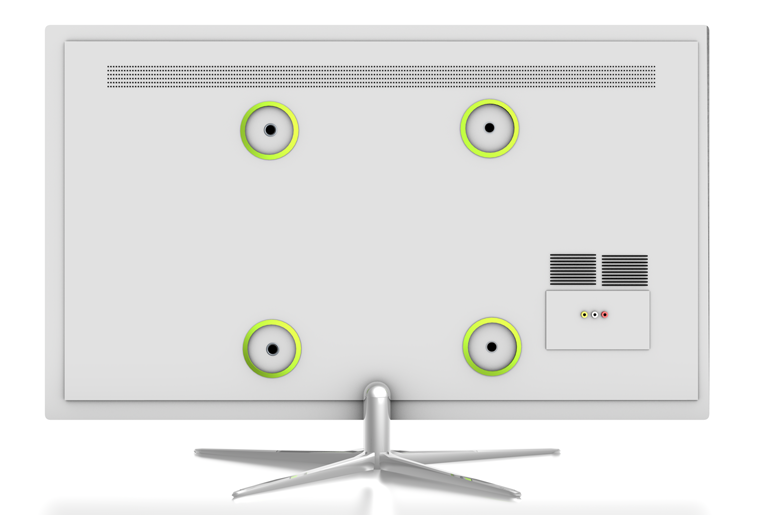 Most of the monitors with VESA 75 x 75, 100 x 100 install holes behind can be installed with the workstation. Is installation work complex for your workstation ? 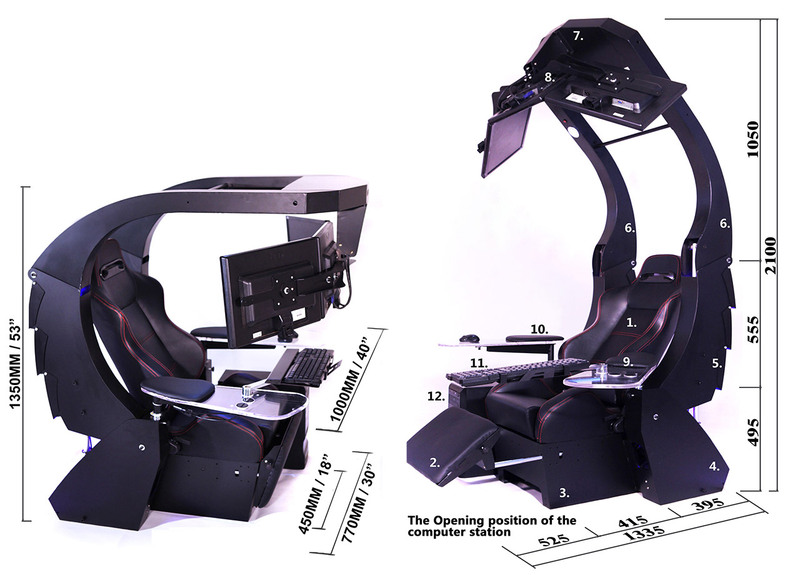 The workstation J20 and C4 comes almost fully assembled, you just need connect computer and monitors following Our installation videos on youtube. or IW-R1 we have detailed installation video guide on Youtube. What’s the use of your base for workstation ? The Base is for hide mid-size computer casing inside to keep a tidy working environment, and it has four wheels beneath,which makes it move around easily and the outlook of base with workstation is cooler. We provide 2 years warranty for the electronic parts of the workstation,for the structure itself,it’s made of very thick high strength carbon steel , it strong enough for many years of normal use. How do you handle after-sale services ? 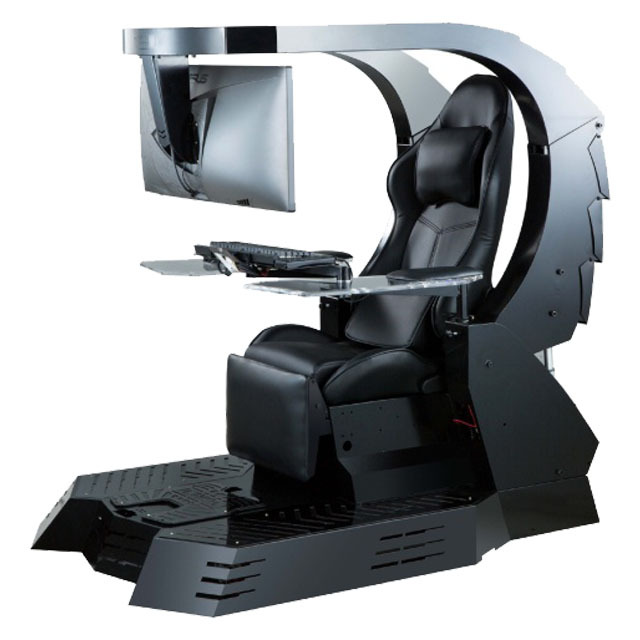 We will have video call with customers to find out the problem of workstation , then send out the right replacement parts to customers through courier,and guide customer to fix the problem by video call/show. How long is the delivery ? 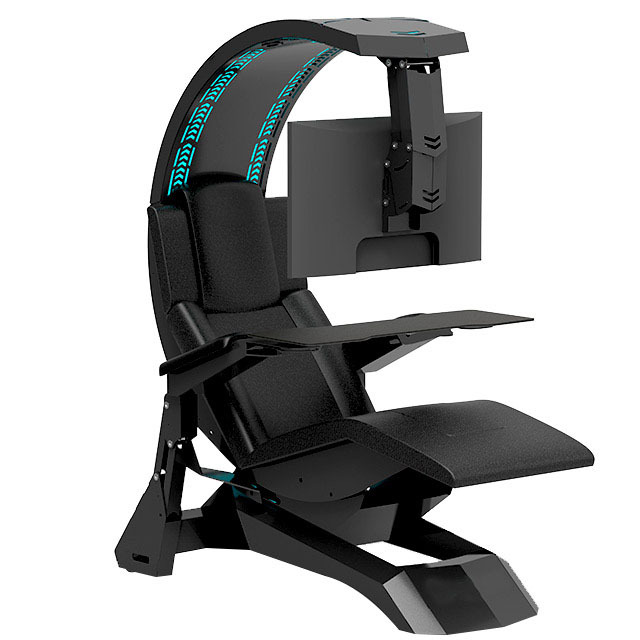 Unlike other suppliers in the market, we have stocks of regular models(Black color with Black seat) in our warehouse Las Vegas ready to ship. Free shipping to 48 continental US! Usually takes 15-20 days after your made payment, we will send from Vegas through different selected logistics. Custom color or options might take 4 to 6 weeks for production. For International customers, delivery can be 4 to 6 weeks by ship depends on your location. The IW-R1 are packed in wood case on pallet. The IW-J20 and IW-C4 are packed in carton box on pallet. They all ship via truck and there will be extra charges for unloading from truck. Where do you ship them from? For USA customers, we ship from our warehouse in Las Vegas, NV 89115. For customers from other places, please email for detail.